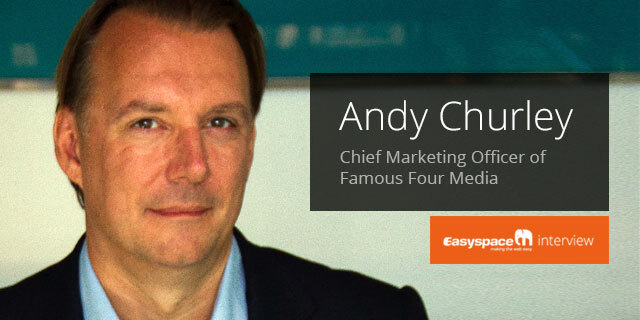 Andy Churley is the Chief Marketing Officer (CMO) of Famous Four Media. He is an expert in generic Top Level Domains (TLD), brand protection and IT Security. Andy is responsible for all strategic and operational marketing activities including marketing communications, market research, product management, product research and development and strategic alliances. Famous Four Media (FFM) was set up in 2011 by a small group of recognized domain name experts. It provides products and services to TLD Registry operators. The 60 gTLD applications, that are currently under FFM management, include some of the most interesting and valuable domain suffixes, such as .accountant, .bid, .cricket, .date, .download, .faith, .loan, .men, .party, .racing, .review, .science, .trade, .webcam and .win. Q1. Andy, tell us a bit about your background and how you became involved in the domain name industry. Well originally I trained as an engineer, and even today I maintain my chartered status. During my time as a practicing engineer I became involved in knowledge management; in particular in how to transfer crucial engineering knowledge in a secure manner across an untrusted network (the Internet). This led me to become involved in cryptographic security and I joined the product team of a company that built hardware security modules (HSMs) which, even today, keep the majority of internet commerce highly secure and speedy. From there, I became involved user authentication and in management of reputational risk and brand protection. About 7 years ago I joined NetNames (one of the largest corporate domain name registrars) managing its brand protection products and swiftly found myself in charge of products and then marketing for the NetNames group of companies. When the new gTLD programme came along I was part of a small team that wrote a considerable number of .BRAND applications for NetNames’ customers and when the opportunity to join Famous Four Media came along I leapt at the chance to see life from the Registry side of the domain name industry. Famous Four Media (FFM) was set up in 2011 by Geir Rasmussen one of the domain name experts behind Global Names Registry which was sold to Verisign in 2008, and some successful financiers who raised a considerable amount of money to provide registry management services to around 60 new gTLD applications operators under ICANN’s new generic Top Level Domains (gTLD) program. Drawing on the best from both Registries and Registrars, Famous Four Media has recruited a senior management team with extensive experience in the domain name industry having successfully launched, operated, marketed and run generic TLDs under previous rounds and having managed some of the largest corporate and retail domain name registrars in the world. Q3. Describe the process FFM went through, in order to be the organisation that manages new domain name extensions such as .cricket, .science, .webcam, .trade, etc? Recruitment was key to making this complicated and ever changing application process as straightforward as possible. Famous Four Media set its sights on recruiting a senior management team with experience in both registries, registrars and large scale data networks. In addition, Famous Four Media has a significant group of lawyers to interpret and engage with ICANN over registry compliance and application process issues. We recognised early on that this is an entirely new industry rather than an extension to the existing domain name industry. It may be built on the same robust and flexible internet technology backbone but the truth is this that we are at the very beginning of a massive cultural shift in the Internet namespace. Global cultural shifts take time to take effect and Famous Four Media knows that in order for it to succeed it has to take the long view. We are still living in the .COM era, but that era will fade and new gTLDs will take over from it in time. Famous Four Media is fortunate that it has raised a considerable amount of capital to allow it to take the long view, other registries are not in such as stable position. Q4. FFM now have an impressive list of 60 generic Top Level Domains that you manage, such as .accountant, .loan, .party, .bid, .trade, etc. What was your strategy when deciding which extensions you wanted to manage? We took the view that we wanted a critical mass of strings with which we could go to market and so we selected a number of strings (around 15% of the portfolio) which we felt had a high likelihood of being uncontested. This would give us stability to manage and grow an operational business while we resolved any contention sets and hopefully acquired more domain endings. For the remaining 85% of strings we were looking for a certain number of definable groups such as sporting strings or gambling strings where we could leverage each string’s appeal to a segmented registrant group. There are a few exceptions to that because we all have our own particular favourites (mine happens to be .SCIENCE) but all in all I feel that we have a strong set of gTLD endings which will provide a stable base from which Famous Four Media can execute on its corporate strategy. Q5. Registries such as Famous Four Media are not allowed to sell domains directly to the end registrant. Instead you must partner with registrars such as Easyspace.com – who are then able to arrange purchases of a new domain name to individuals & businesses. What are the steps you take when deciding who to partner with? Under the new gTLD program, Registries have to operate a policy of ‘open access’ to all ICANN accredited registrars. However, certain registries have made it more difficult for certain registrars to on-board with them for example by setting a ‘on-boarding fee’ or the requirement to maintain a minimum balance at the registry, which will make it difficult for smaller registrars to afford to support these gTLDs. Famous Four Media took the view that the more registrars that are able to sell its domains the better and therefore made its on-boarding process as straightforward as possible and cost free. Of course some registrars are better to partner with than others; registrars such as Easyspace.com that are dynamic and actively try to find the right homes for Famous Four Media’s domain names are going to be much more rewarding to work with than those registrars that just wait for a registrant to walk in to their virtual store. Q6. How can individuals & businesses benefit from registering one of the new domain extensions e.g. .science, .accountant, .trade, etc instead of a more traditional .com or .co.uk? The big difference in the new domain endings and the more ‘old school’ style TLDs is context. Most people forget that in the ‘good old days’ .COM stood for commercial and was intended to designate a website that had some kind of commercial intent. Somewhere in the mid-nineties, that definition got blurred which has meant that nowadays .COM doesn’t really define the website it describes. The real benefit of new gTLDs is their descriptive nature; why would you ever visit a .ACCOUNTANT website if you are looking for a window cleaner? Nine out of 10 of the first domain names registered were company names, but unless you are a well-known brand internet users do not search for you. They do however search for the ‘thing’ that they need. 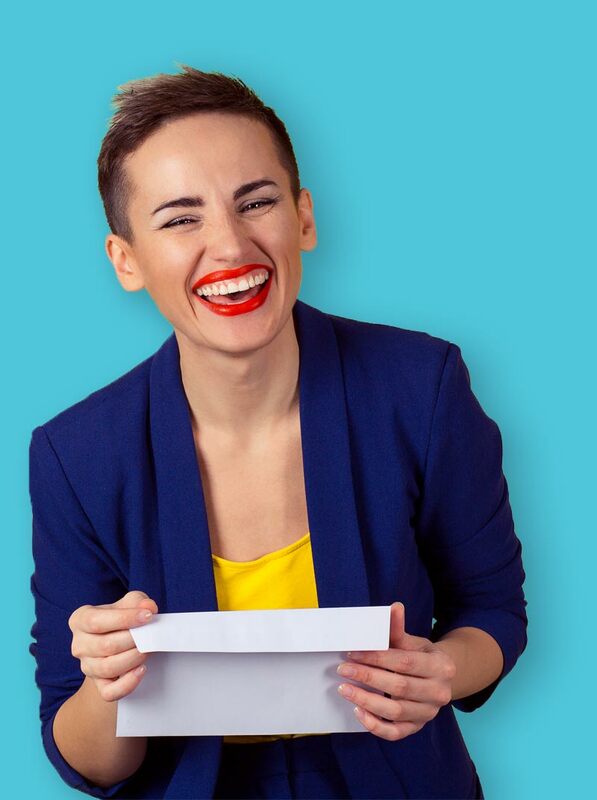 For example, newyork.accountant is incredibly descriptive, performs as well in search results as newyorkaccountant.com and is available to register without the need to spend thousands of dollars to acquire it! Q7. How well do you think websites using these new domain name extensions will rank in search engines such as Google? So while Google appears to be sitting on the fence when it comes to new gTLDs and domain names in general, let’s not forget that Google itself applied for 101 new gTLD extensions and has recently joined the ranks of ICANN accredited registrars. Q8. Of those you manage, how well are the new domain extensions selling? What are the most popular so far? We have 3 domain name endings live so far (.BID, .TRADE and .WEBCAM) and they are performing as expected. The .WEBCAM gTLD has the most domain name’s registered and is in the top 50 of all New gTLDs and seems to have a higher daily registration rate than many of the larger registries. The most important figure from Famous Four Media’s perspective is in the usage and .WEBCAM has a usage rate of around 85% meaning that over eight out of 10 .WEBCAM domain names resolve into a functioning webpage. This means that the .WEBCAM registry is actively being used which is very satisfying from our perspective. The .TRADE registry is the next most popular of Famous Four Media’s 3 live registries and it also has a very strong usage rate in particular among small businesses that are trying to increase international reach and trade outside of their country of origin. The remaining registry, .BID, continues to grow in line with original expectations and remains a solid registry. Q9. What’s involved with being the Chief Marketing Officer (CMO) of Famous Four Media? Describe your typical day. As a portfolio applicant for new gTLDs, a large part of my day revolves around planning for the next registry launches, ensuring that each gTLD has a fully developed marketing mix and go-to-market product and marketing strategy. Part of my day revolves around the registrars, ensuring that marketing incentives are both meaningful, beneficial and applied under the spirit of open access and my team responds to registrar requests for marketing assets such as banner ads, graphics and even video clips. Finally, I deal with the press, conduct interviews, provide industry comment and write blog posts and though leadership articles. Q10. What are your future plans for Famous Four Media? We have lots of prospective plans, but the immediate future is all about resolving contention sets and launching as many registries as we can. Has Andy inspired you to register your own domain name? Maybe he has encouraged you to get one of the new types of domain name extensions, such as a .webcam? If he has, then begin by searching for the domain name you want. Then get your website set up. With this in mind, Easyspace has created EasySiteLive PRO – a website builder product, to help get your website up and running in no time. Click here to try our new EasySiteLive PRO website builder for 21 Days Free of charge.